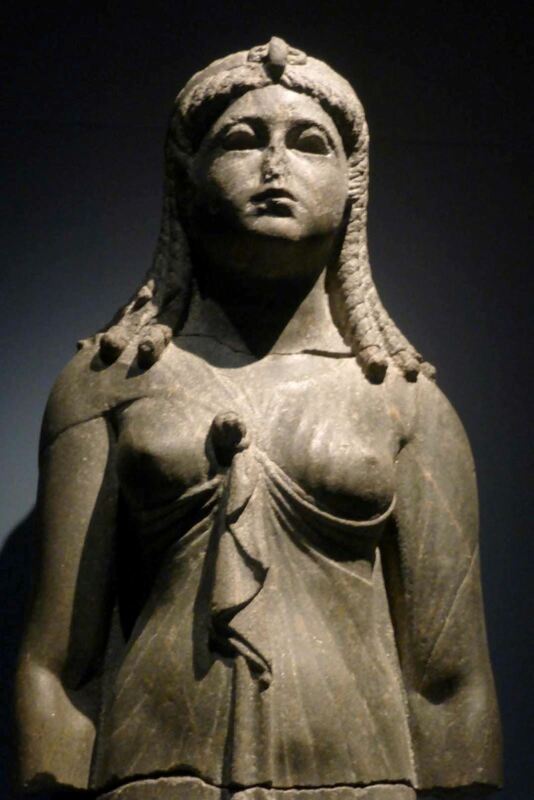 Cleopatra III was a queen of Egypt 142–101 BC. She was also known as Cleopatra Euergetis while associated with her husband Ptolemy VIII or her son Ptolemy X.
Cleopatra III’s uncle Ptolemy VIII of Egypt ruled together with her parents from ca 170 to 164 BC at which point he expelled Cleopatra II and Ptolemy VI of Egypt. But he was soon forced to abdicate. After the death of her father Ptolemy VI, Ptolemy VIII became the King of Egypt again. He first married Cleopatra III’s mother Cleopatra II in 145 BC, and married Cleopatra III in c. 139 BC. Her mother rebelled against Ptolemy VIII in c. 132 BC and Cleopatra III fled to Cyprus in 130 BC with her husband. They returned in 127 BC, and after the death of Ptolemy VIII in 116 BC Cleopatra III ruled jointly with her mother Cleopatra II and her son Ptolemy IX. Cleopatra III expelled Ptolemy IX from Alexandria in 107 BC and replaced him as co-regent with her second son Ptolemy X. After 6 years of joint rule Ptolemy X had his mother Cleopatra III murdered in 101 BC.